This replacement water chamber kit includes the water chamber with baseplate, two flapper valves, a lid and funnel. 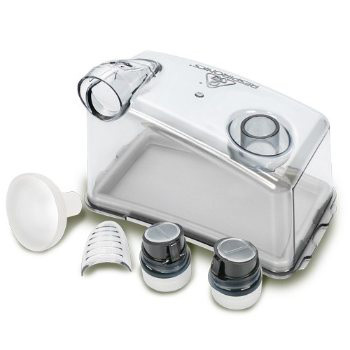 It is designed for use with all REMstar and H2 Series CPAP/BiPAP Heated Humidifiers. Usage Information: In early 2007 Respironics updated the design of the REMstar Heated Humidifier coupling with a new "flapper valve." The new design is intended to minimize the chance of water backing up into the machine if the unit is tipped or dropped. All humidifiers that use chamber 1008619 and/or coupling 1009313 should upgrade to the new valves listed above. Good fit with excellent construction. manfacture made sure accessories fit most common machines. I was having a hard time finding this replacement part but it was just what I needed. Great and fast service! Excellent Service and product! 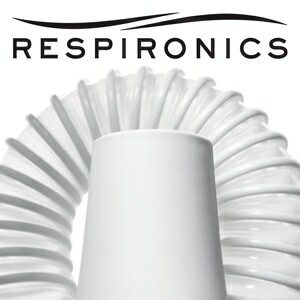 You also offer other products that I didn't know about for Cpap users.